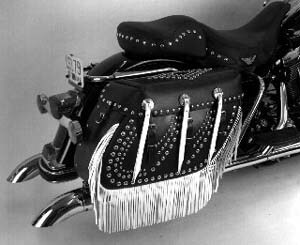 Designed specifically for Road Kings! 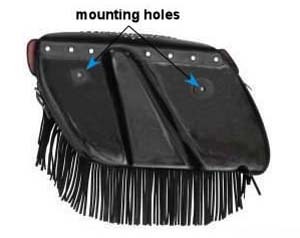 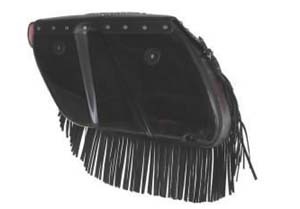 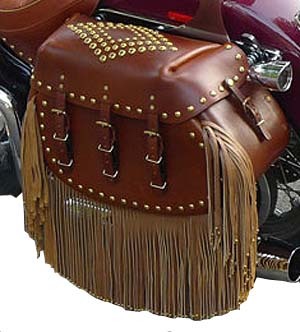 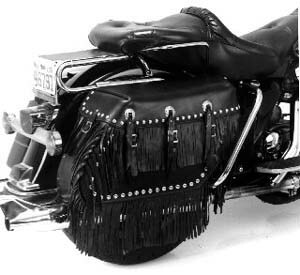 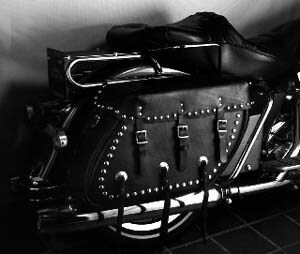 Leather Harley Davidson & Indian Chief Saddlebags: This series of leather Harley Davidson & Indian Chief saddlebags is designed for the FLT, FLHS, FLHR & Indian Chiefs, 1980 to present. 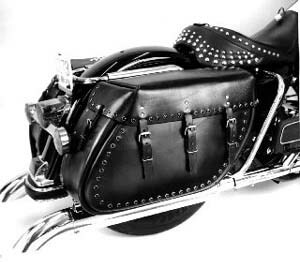 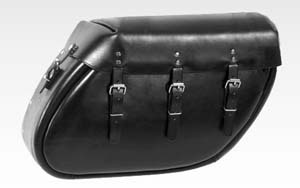 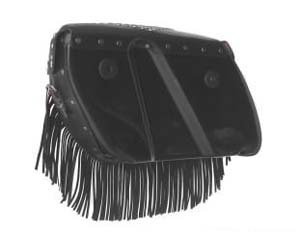 These saddlebags are constructed using 14 oz. 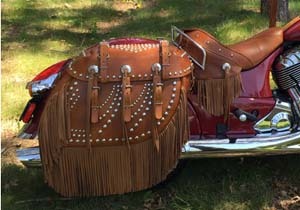 top grain Hermann Oak saddle leather, steel reinforcing to help retain shape, and a contoured fiberglass backing that accommodates the shocks and battery. 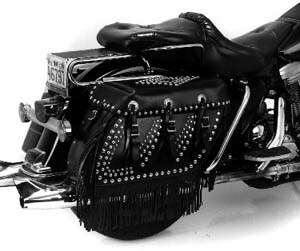 All mounting hardware, leather conditioning grease, black touch-up dye, and black polish are included. 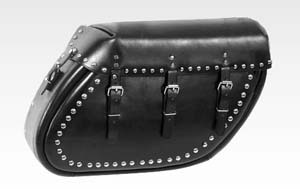 The leather motorcycle Harley dimensions are 15" x 7½" x 22½". 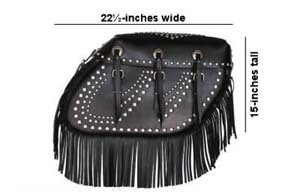 Email us at info@eglidegoodies.com regarding how to order custom dyed leather (tans & browns) or custom ordered hides (specialty colors). 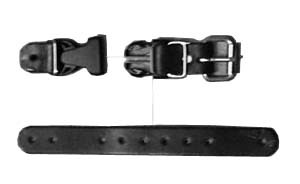 Note: Delivery times are running about 3-4 weeks to manufacture each set.